5 kinds of herring (onion, tomato, mustard, curry and pickled herring), smoked salmon, gravlax, poached salmon, shrimps, Jansson’s temptation, Skagen mix, eggs with Kalles caviar. Meatballs, wiener sausages “prinskorv”, baked liver pate and cream sauce. Chocolate balls with strawberry, cinnamon buns, popcorn (salty) and fruit. Children under 7 years, Free! 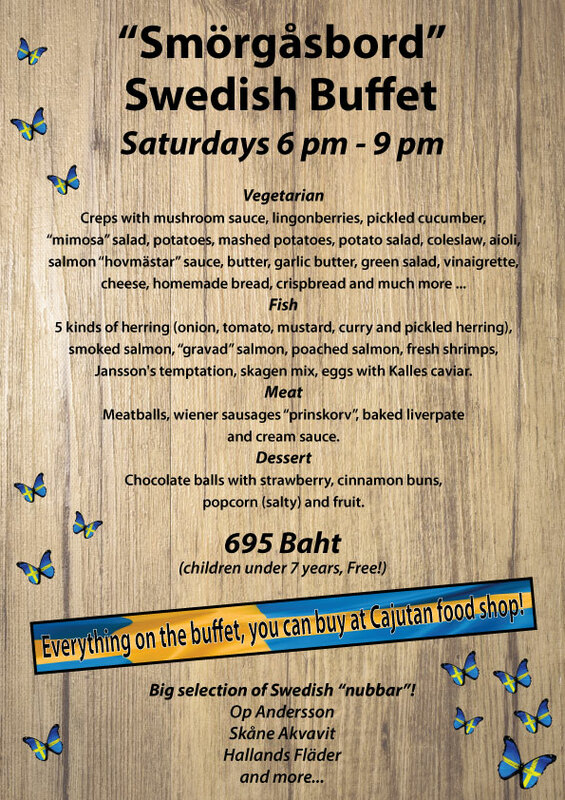 Everything on the buffet, you can buy at Cajutan food shop!